Gríndavík is a friendly fishing town on the Reykjanes Peninsula. Surrounded by mossy lava fields and natural wonders this place has a certain small-town charm but plenty to offer in activities and delicious food. Try the catch of the day or get a history lesson at the local Salt Fish Museum. Test the waters in the geothermal swimming pool or go grand at the neighboring, the famous Blue Lagoon! How to get to Grindavík? 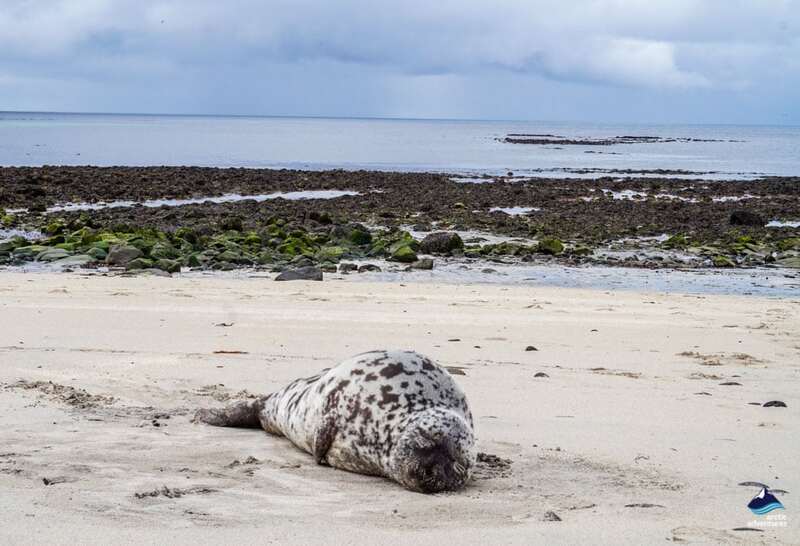 What to do at and around Grindavík? 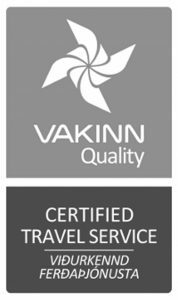 Where to eat at Grindavík? 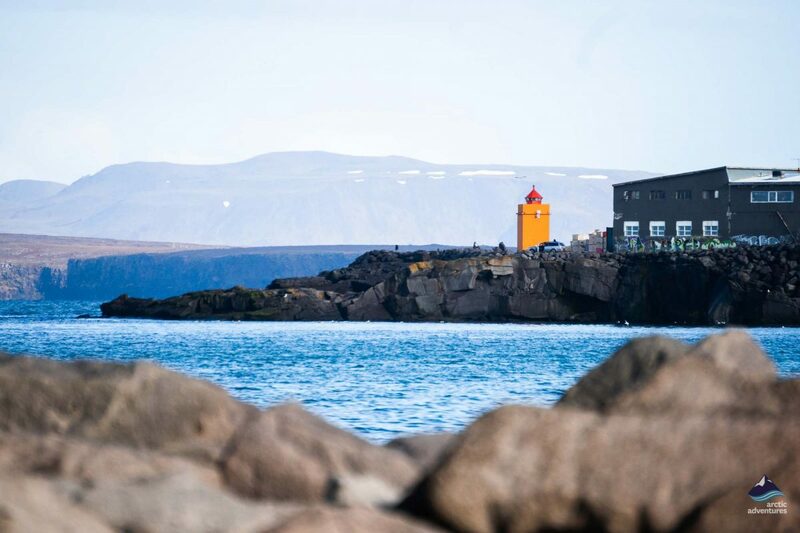 Grindavík is one of those charming little fishing towns you find on Iceland’s coast. 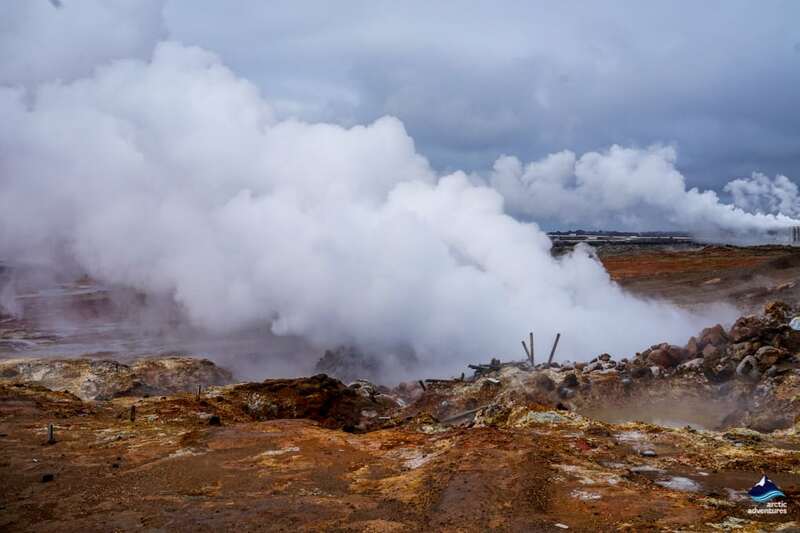 It is located at the southern end of the Reykjanes peninsula, known for its geothermal and volcanic activity. All around the town you will find moss covered lava and stunning mountains which some locals use for training and general nature enjoyment. 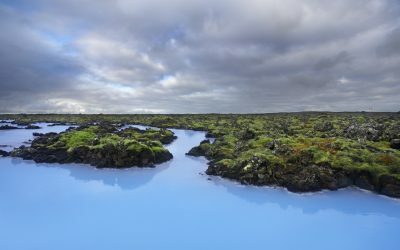 Not far from the settlement you will find Iceland’s most famous landmark, the Blue Lagoon. Grindavík offers various restaurant options, has a local swimming pool, a colorful harbor, a lovely fishery themed museum and their own sports team. 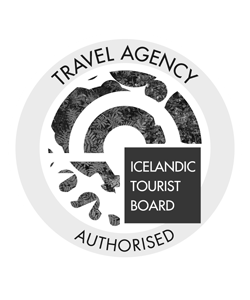 Grindavík has over three thousand inhabitants and an active and friendly community – “where everybody knows your name”. 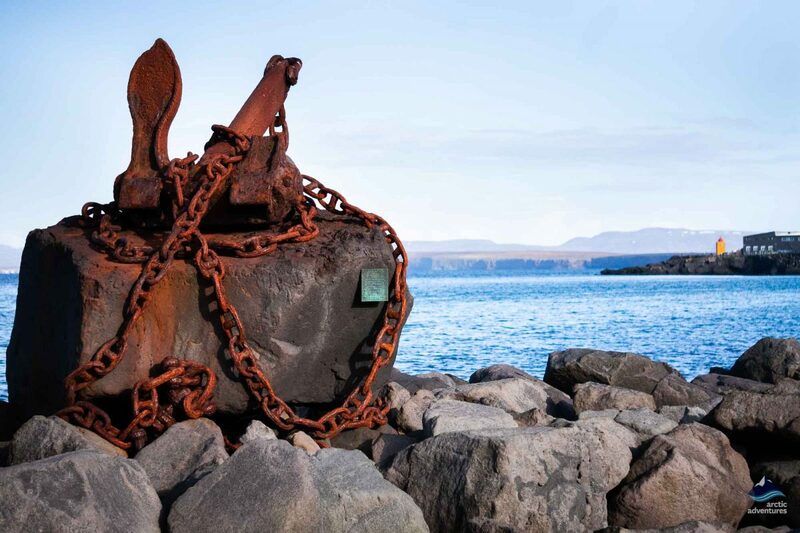 The gifts of the ocean and the work around it have always been a unifying symbol for the people of Grindavík who from establishment until this day work hard at sea and land in the fishing industry. 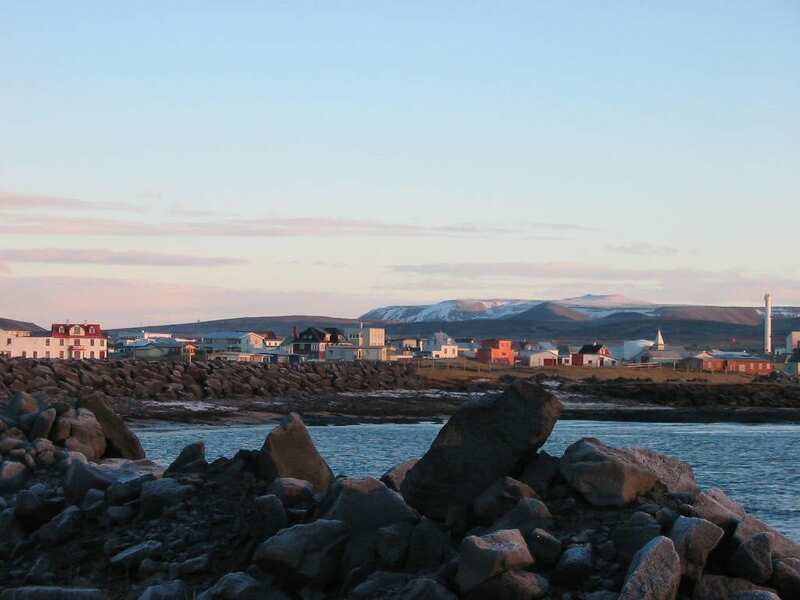 The people of Gríndavík are called Grindvíkingar by other neighboring towns, the closest being Keflavík and Sandgerði. The sports team at Grindavík is called Grindavík. The distance from Grindavík to the Blue Lagoon is only about 6,3 km or 3,9 miles. The lava field surrounding Grindavik is called Illahraun or “the evil lava”. The majority of the Blue Lagoon staff lives in Grindavík. 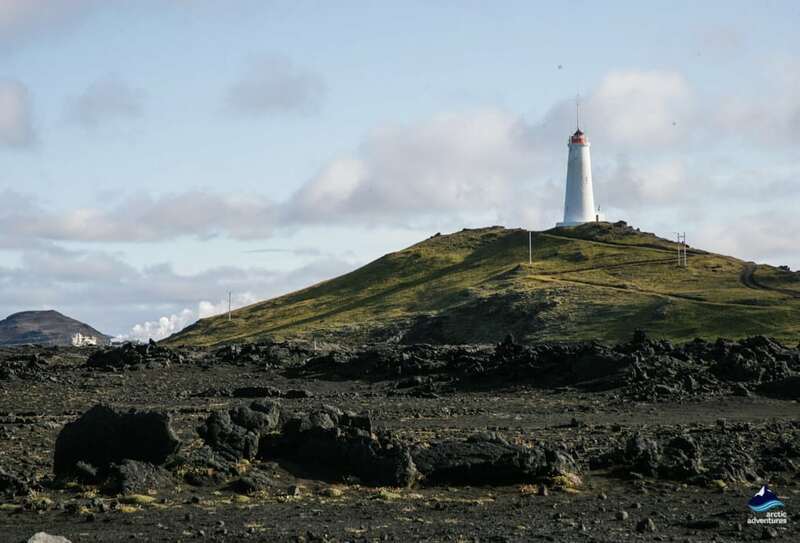 Grindavík has an annual festival revolving around Iceland’s national Sailor’s Day – celebrated during the first weekend in June. The festival is called Sjóarinn Síkáti or the Constantly Happy Sailor. 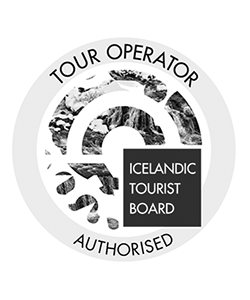 Grindavík is located at the Southernmost point of the Reykjanes peninsula about 52 km from Reykjavík, 24,6 km away from Keflavík International Airport and 90,7 km away from Þingvellir National Park, commonly known as one of the three stops on the Golden Circle. 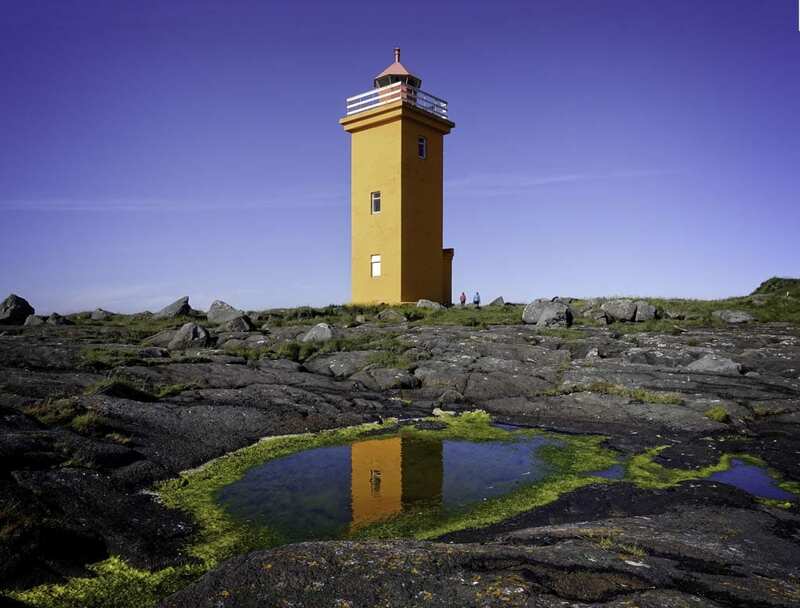 Some of the best-known landmarks near Grindavík are the Blue Lagoon, Gunnuhver hot springs, the bridge between the tectonic plates and Reykjanes Lighthouse. 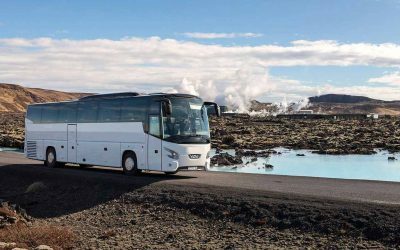 As Grindavík is located so close to the capital you can both take a bus or hire a rental car to reach the town. 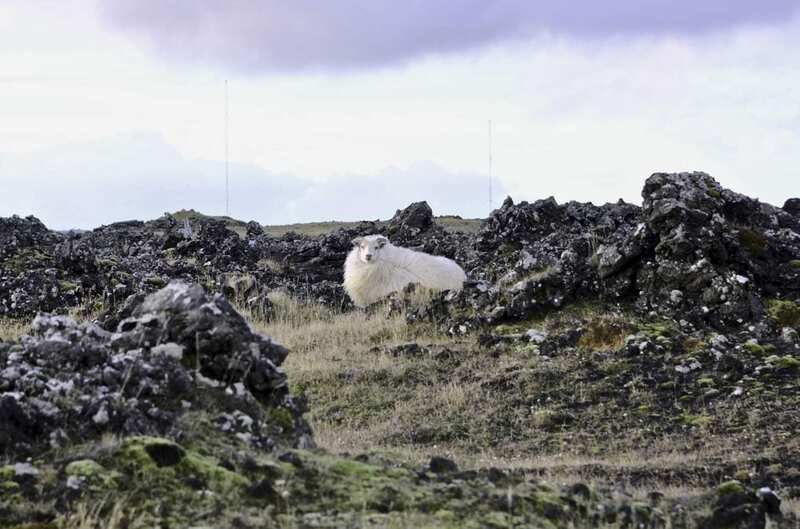 Driving from Reykjavík to Grindavík will take about 50 minutes and takes you through a good percentage of the capital region, the town of Kópvogur, then Garðabær and lastly Hafnarfjörður. Onwards you will follow Reykjanesbraut (road nr. 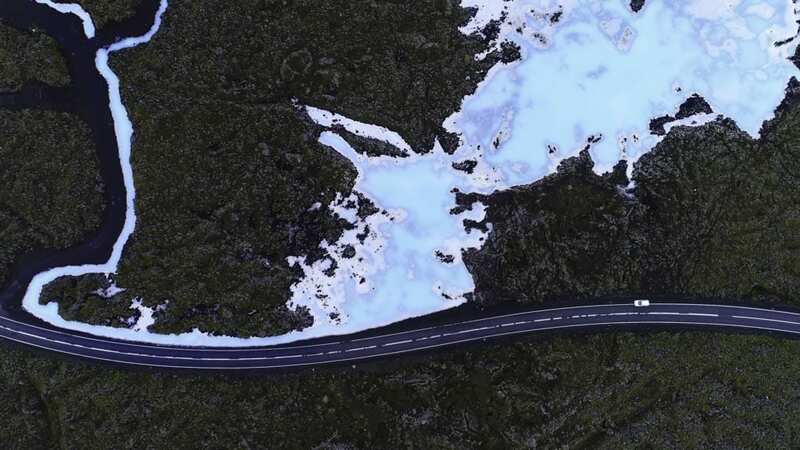 41) out of town until you take the turn marked Grindavík and Blue Lagoon, road nr. 43. This road will take you past the Blue Lagoon and into the town. A very simple and effortless route. 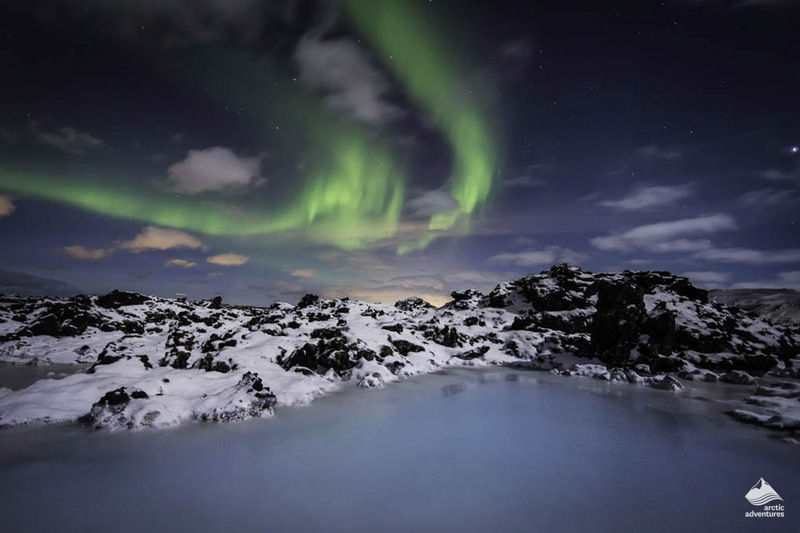 Visit the Blue Lagoon Geothermal Spa – the crown jewel of Icelandic hot springs. There is just no way to beat this place. Soak in the aquamarine blue healing waters, take a natural steam bath, get an in-water floating massage and put on the rejuvenating silica mask. Taste some freshly caught fish at one of the local restaurants. Go to the Icelandic Saltfish Museum – The museum opened in 2002 and has since displayed the history of salt fish production and its importance for the Icelandic economy and community. Hike Mt. 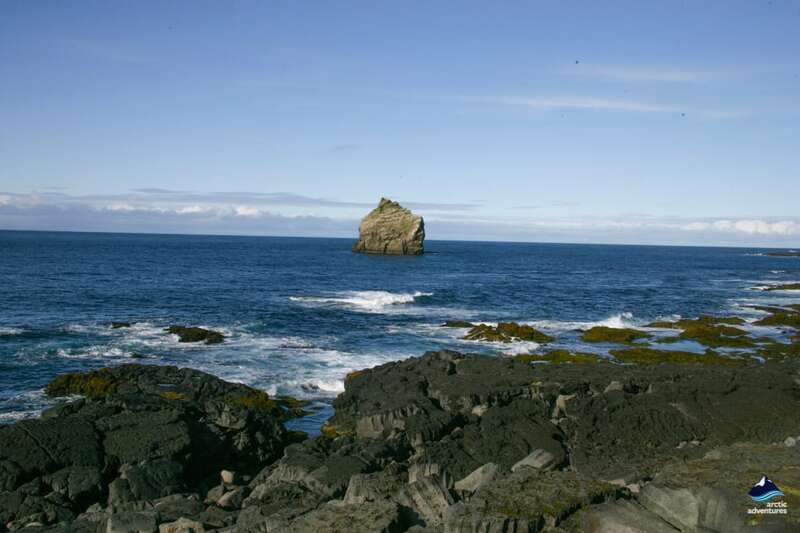 Thorbjorn (Þorbjörn) – the hike takes about an hour, and the trial is easily noticeable in the terrain. When you reach the top you will be able to stand tall at the edge of the mountain with amazing views racing well into the capital or descend down into the mountain tops’ valley for the perfect picnic hideout! Check out the cold baths of Brimketill – it is other quite breathtaking to see how mother nature can leave things and the bath of Brimketill is certainly one of these places. Stop at Gunnuhver Hot Spring – widest hot spring/fumarole in Iceland, named after a female ghost who haunts the area after her tragic death there. 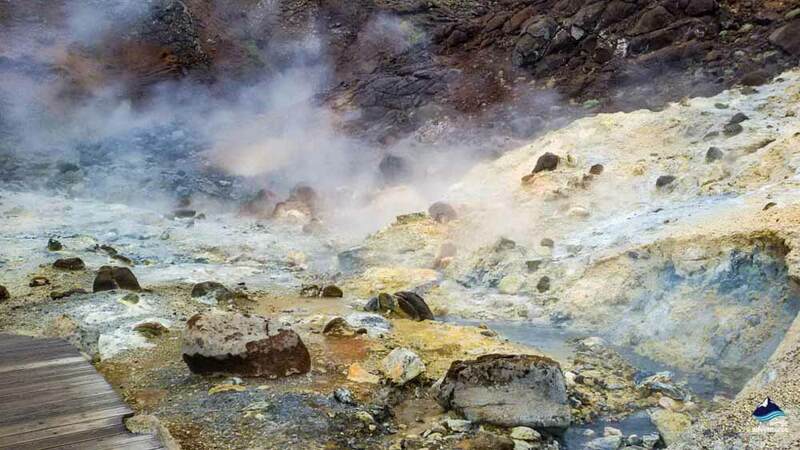 The rising steam and the array of rhyolite colors surrounding the phenomenon also put a certain flair to the setting. Well worth the visit! 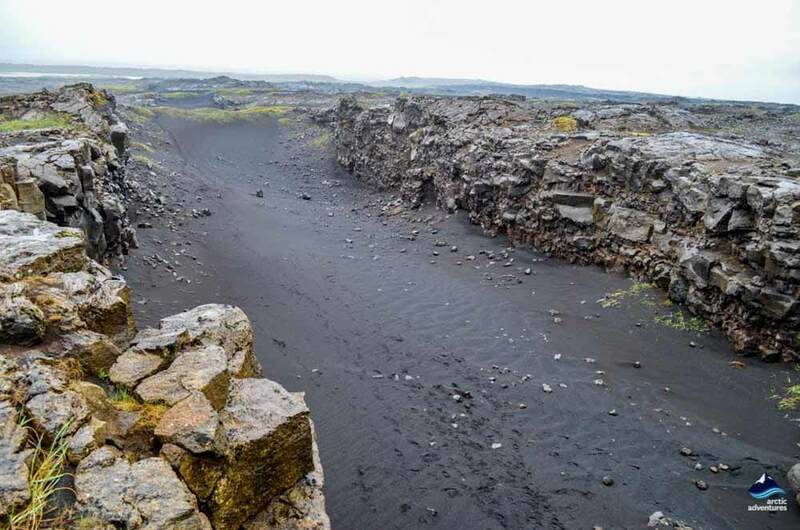 Walk between the two continents – The bridge that connects the Eurasian and the North-American tectonic plates is a remarkable location to visit! 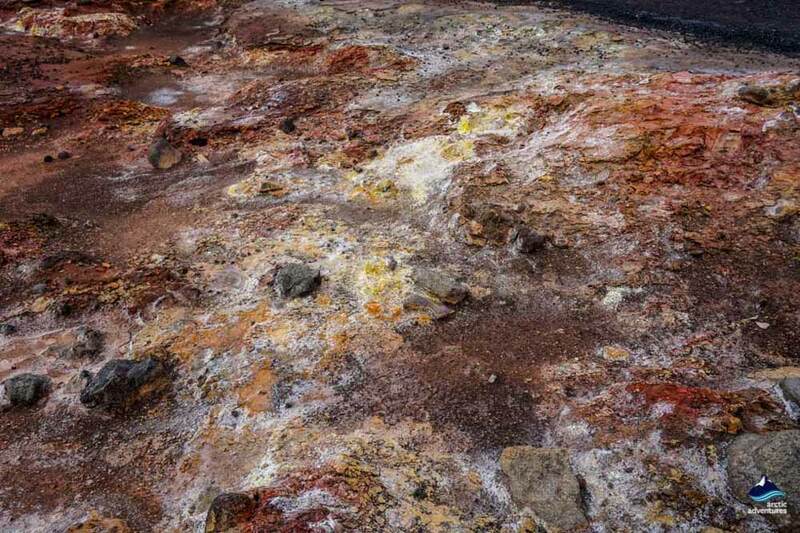 Walking across it is truly a magical way to get up close and personal with Iceland’s geothermal activity. The camping ground at Grindavík is fantastic. It offers all the facilities one might need including toilets, hot showers, washers (550 ISK), dryers (550 ISK), cooking stations, electricity for campers (1100 ISK) and WIFI. Nearby you will find a playground, a swimming pool and a golf course so there is plenty to do within a walking distance and if you are looking to take longer hikes there is no shortage of walking paths. Grindavík is a fishing town so the theme of most of the restaurant is seafood. Although, in between, you will find some different cuisines. Here is a list of most ¨popular and best-rated restaurants options for Grindavík. Salthúsið – This place has been in business for a long time and isn’t going anywhere – they always deliver excellent food; seafood, lamb, burgers you name it! Hjá Höllu – the healthy option, vegan and veggie friendly. Fabulous variety in juices and sandwiches. Café Bryggjan – This cozy establishment has the yummiest lobster soup, lamb, skyr and other Icelandic cuisines, take a bite of Iceland. Papa’s Restaurant – the local pizzeria, they never disappoint! 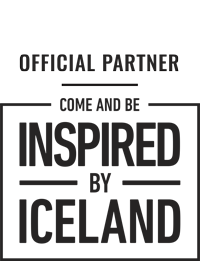 Fish House Grill & Bar – If you are looking for delicious food and great variety this is your spot. 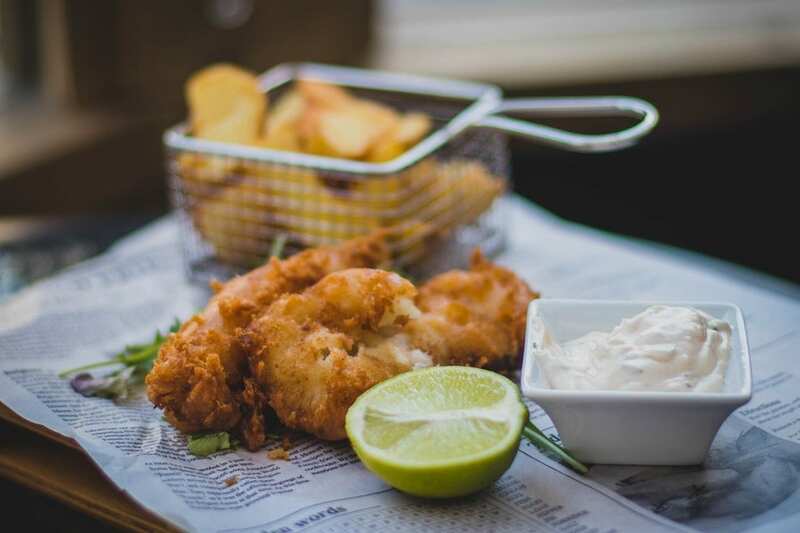 Veitingahúsið Brúin – the Fish and Chips masters of Grindavik Iceland. Grindavík can easily be visited in winter. The roads very seldom get closed due to weather and the restaurants stay open. The Blue Lagoon is open all year round and the natural sights are, maybe not surprisingly, still there no matter the season. 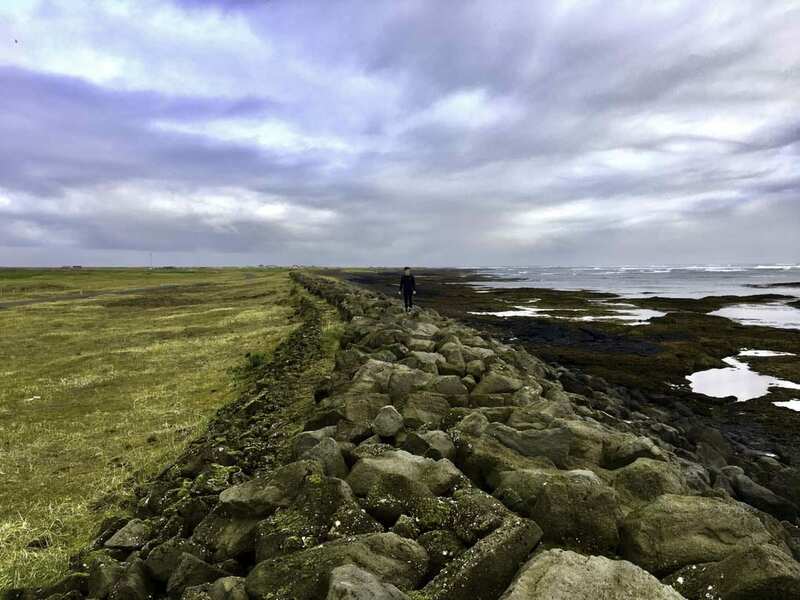 Grindavík is definitely a good stop to make in winter and the small fishing village is a great location to head out from on a winter night’s Northern Lights hunt.